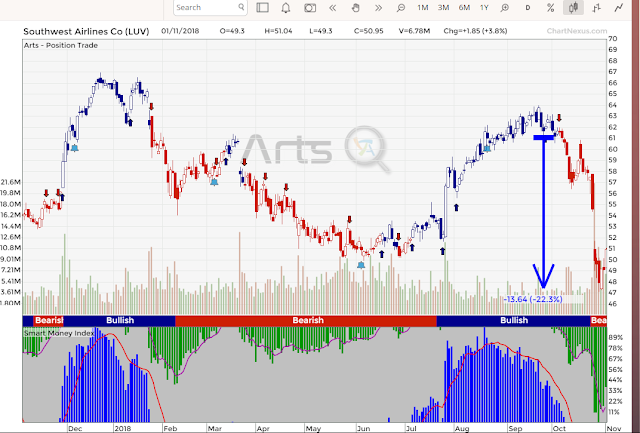 Market has been falling, short selling is probably the way if you still want to stay in the market, using the Singapore most popular trading Apps - Poems Mobile 2.0. Number 1 is to Short Sell when the TREND change, this is usually when the stock is up and rising for a few months and after a long ride up the trend became weak and start to TURN DOWN. Usually it is sideway for about 2-3 week, if we see the price fall further it means it is weak. 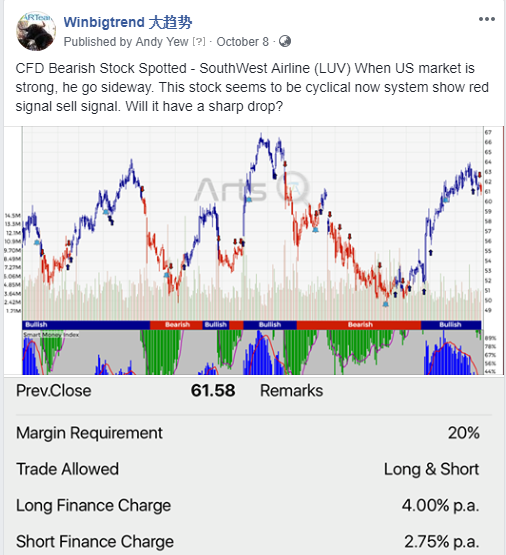 This is an chart of SouthWest Airline (LUV) which I posted on our Fanpage www.facebook.com/winbigtrend , like our facebook fanpage now if you haven't, to get the latest update. This is the mid term CFD Short selling Strategy, so we have to let the trend run when we are on the right Direction. So what happen is after about 4 weeks LUV dropped 22%.